When my publisher informed me that a focus group of executives in D.C. had selected the name for my book to be In the Land of Invisible Women, I had something of a tantrum. I found myself upset at the implicit suggestion that the women who had been my peers and friends during my years in the Kingdom of Saudi Arabia were invisible. I was further distressed to find that the complicated men of whom I had also written were completely excluded from the title -- yet my book was as much about men as it was about women. Over time, I realized that the publisher was right. The title was perfect for the markets where the book would be sold: the United States, Canada, Britain, Australia, South America, and Portugal. To those societies, Saudi women, and indeed all Muslim women (and, by extension, the men around them) are very much invisible. We don't know them; we don't see them; or, if we do see them, we often cannot see beyond the veil, both literally and, even more impenetrable, figuratively. In many respects, until the divisive and devastating 9/11, Muslim culture and particularly Muslim women simply didn't register on the Western public consciousness. The last decade has brutally changed all that and at a ferocious pace. Islam and its followers appear in some context in almost every headline. In New York City, we are experiencing breathtaking Islamophobia triggered by the controversial and inflammatory proposal of the Islamic Cultural Center in lower Manhattan. Two formal U.S. military engagements in Iraq and Afghanistan, both Muslim majority countries and one "informal" one deploying armed drones in Pakistan leave devastating images of the West interfacing with Islam. The French ruling on the banning of the niqab (the full face veil) together with the banning of minarets in Switzerland were some of the most stunning legislations to emerge from Western Europe in recent years, a sadly predictable response to the rise of a more and more publicly expressed ritualization of Islam which befuddles many in the Muslim diaspora too. These complex, messy and multifaceted events unfurl across our flat-screens in the era of seamless digital networks integrating cell phones to YouTube to network TV. In short order, the intrepid citizen journalist has reversed the flow of information from the traditional model of network-to-viewer to viewer-to-network. Such interaction, while both exciting and revolutionary, has saturated the modern consciousness, often times to frightening effect. To those who lack context, this rising awareness of "Muslims" is dominated by some of the most dramatic practices which are not only difficult to understand, but also fail to transmit the very heterogeneous and richly diverse Islamic world. While "Wahabi" fundamentalism certainly exists and even thrives in many places, even within those groups, the reality is far from the homogenous constructs common knowledge might suggest. 1.67 billion with hundreds of distinctive cultures, languages and social mores. In the post 9/11 era this rich, variegated tapestry has been expertly and quite deliberately distilled into a monolithic manifestation of threatening fundamentalism. This simplification -- one overtly hostile to many Western values -- is a heavily mediated portrayal, innately appealing to mass media consumption. Such black-and-white bipolarity is enormously palatable when packaged in punchy, 90-second sound bytes. Women's Voices Now -- a new New York City-based not-for-profit organization focused on media and women's rights -- recognizes this deficit and in direct response is providing one of the most exciting platforms yet seeking to change this perception by providing access to diverse and honest information. Through their efforts they aspire to a number of other worthy goals including the bold directive of expanding international standards for freedom of expression. In many ways, we ourselves as Westerners are just as veiled as the Muslim women and girls who simultaneously fascinate and frighten so many. Our veil comes in the form not of polyester but a polyglot of ignorance. We are confined by this ignorance, a confinement which is derived very much from a lack of access to a direct experience of Muslim families and cultures. We lack this access both because of geographic limitations and because of the stark, simplified language, devoid of nuance and complexity, with which the media interprets Islam on satellite television. One woman now seeks to change that, and is well on her way to accomplishing this. Catinca Tabacaru is a corporate lawyer, who, fortunate for Muslim women and girls, was looking for inspiration beyond billable hours in a high-powered Manhattan law firm. She chose to focus on humanitarian issues and for a time was part of the legal counsel to the United Nations at the International Criminal Tribunal for Rwanda in Tanzania and later for the Guantanamo Defense Team in Washington, D.C. Still, she realized she sought greater impact on human rights and her desire to contribute and serve resulted in the birth of Women's Voices Now (WVN). Early in the charity's history, Catinca and colleagues hit upon the concept of a film festival focusing on women and girls living in Muslim majority societies and Muslim women specifically living as minorities around the globe. Their goal was simple: to stimulate and foster citizen journalism and in doing so leverage the diversification of such voices to translate the nuances of the Muslim world. The voices of film makers, whether amateur or professional, will allow viewers to experience the diversity and complexity of the Islamic world through the eyes of the mothers and daughters, the sisters and wives who inhabit these spaces. 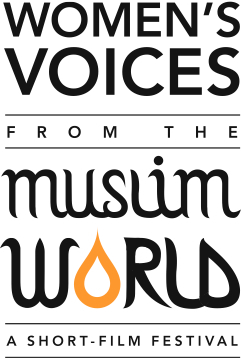 Thus, Women's Voices from the Muslim World: A Short-Film Festival was conceived. The organization is now accepting submissions in short film format. The only substantive condition is the films must focus on women in the "Muslim world." The festival takes a broad definition of the subject -- women and girls of all faiths and background who are living in Muslim-majority countries and also Muslim women living as minorities elsewhere are all appropriate content. Importantly, filmmakers need not be women or Muslim: filmmakers of all backgrounds, genders, orientations and religious beliefs are invited to submit their work. Unusually, submissions can be made on-line. Moreover, on October 4 Women's Voices Now launched the online element of the festival -- the first ten films to be accepted to the festival were made available on the Women's Voices Now website for anyone in the world to watch, rate, and comment upon. Thus, filmmakers can see the submissions of other contributors and the ratings of the international audience visiting the site before entries are formally judged by panels of experts in January 2011. In this way, filmmakers can enter into the spirit of inspiring competition and public support, and generate a unique and fascinating conversation. The festival accepts submissions in four categories of film ranging from five to 30 minutes in length: documentary, fiction, experimental and student, and each is explained in detail on the site. The experimental category allows for silent films, animated films, stories recorded using mobile phones, and even music videos. A total of $35,000 in cash prizes will be awarded to the winners in each category, to the winners of an Audience Choice Contest and to eight honorable mentions focused on the mother-child relationship and on girls in this Muslim world. Ultimately the real winners will be the women and girls portrayed. Through the work of largely unknown filmmakers, these invisible women and unseen girls will reach a new, and for many, a first, audience who truly wants to hear them, see them, know them and learn from them. Women's Voices Now has been questioned on countless occasions as to why feature length films are not being considered for the competition but their answer is clear: the short-film format was chosen deliberately because this format translates so well on the internet and allows for a multiplicity of voices in one sitting. In quick succession a visitor to the site can watch several films exploring diverse viewpoints reflecting the heterogeneity of the Muslim world. Similarly, online access to the submissions is admittedly a radical idea, but again, one with serious rationale. Rather than limit the viewing of these works to an elite Hollywood auditorium at the Los Angeles Film School, where the festival will premiere next spring (March 10-12, 2011), Women's Voices Now seeks to level the platform -- innovatively following the network-to-viewer revolution instead of the traditional reverse relationship. Initial response already confirms the success of this movement. In its first three months, Women's Voices Now has already received film submissions from 23 countries on four continents and the submissions window remains open until November 24, 2010. So, whether you are seasoned filmmakers or novices -- camcorders, cell phones, Flip Cams to the ready! Women's Voices Now wants your submissions. Get filming and uploading. If, however, you are a mover-and-a-shaker, a change-maker, a movie mogul, Women's Voices Now needs you too. If you are the Cisco CEO (makers of Flip Cam) or the CEO of YouTube, if you are Mr. Spielberg or Ms. Nair, if you are Mr. Turner or Mr. Murdoch, if you are HRH Prince Al Waleed Bin Talal, to all of you Women's Voices Now says: facilitate these voices through your platforms, your networks, your foundations and your imaginations. Women's Voices Now needs funding and dissemination. Quite literally this foundation seeks to transform the i-Report into the i-Movie into the i-Festival. Industry leaders can help citizen journalists reach a wider audience for this important work portraying invisible women and the even more unseen girls within their worlds. Sponsor the festival, join Women's Voices Now in LA and promote the engagement of the visible world with the invisible one in a shared approach to some of the most challenging misperceptions facing our world today. Everyone: do what you can. Your imagination will surprise no one more than it will you. Whoever you may be, whatever you can do, your empowerment can help others. Start lending your vision, your voice, your sheer verve to those who don't realize theirs is a voice we seek to hear. And, maybe, just maybe, in listening to them, you may well discover you have found a new and surprising voice of your own.